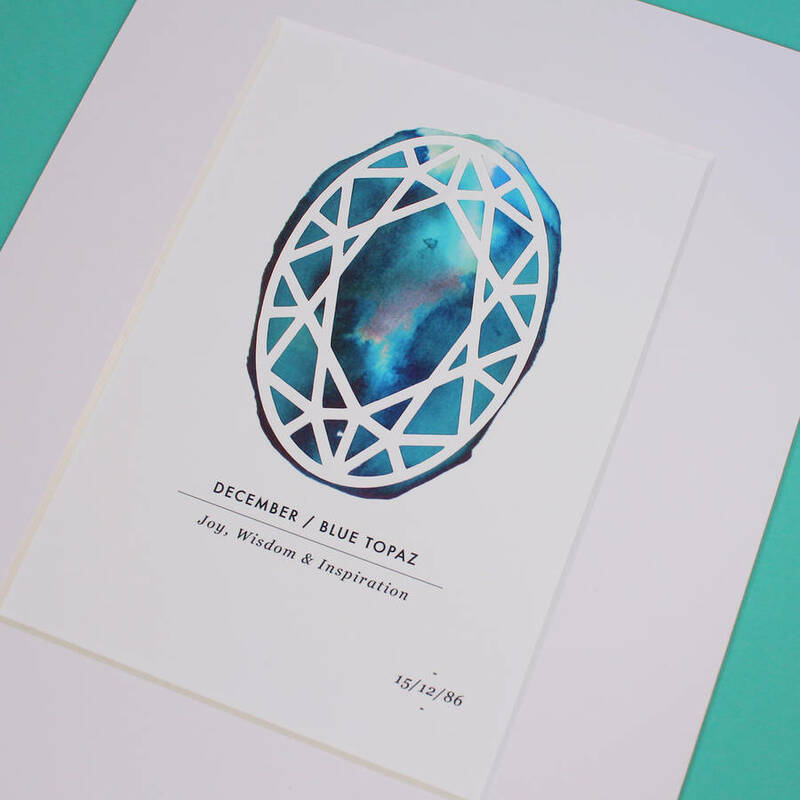 A personalised geometric paper cut featuring a watercolour birthstone. 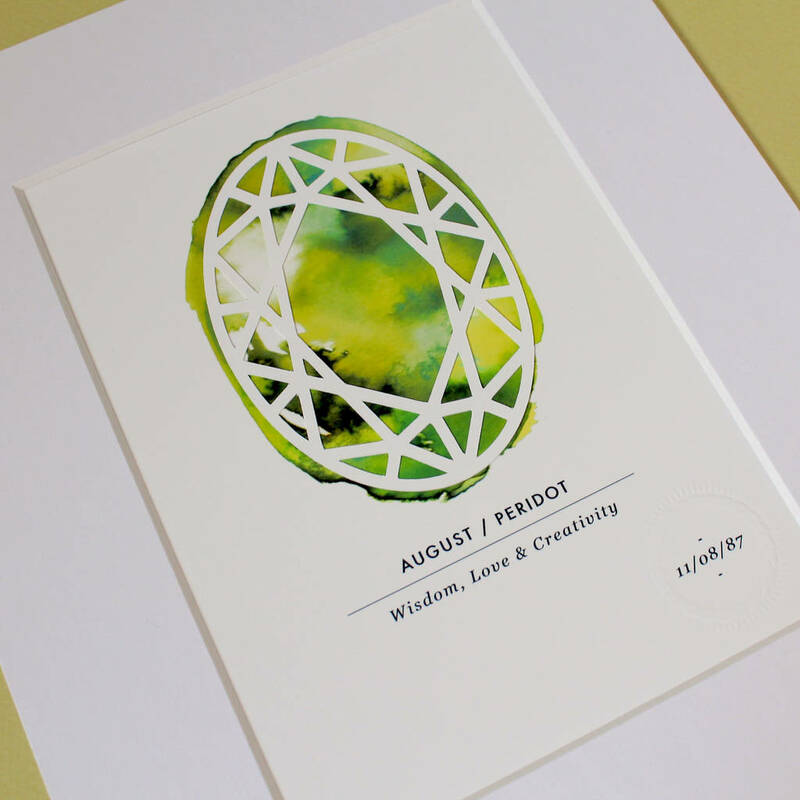 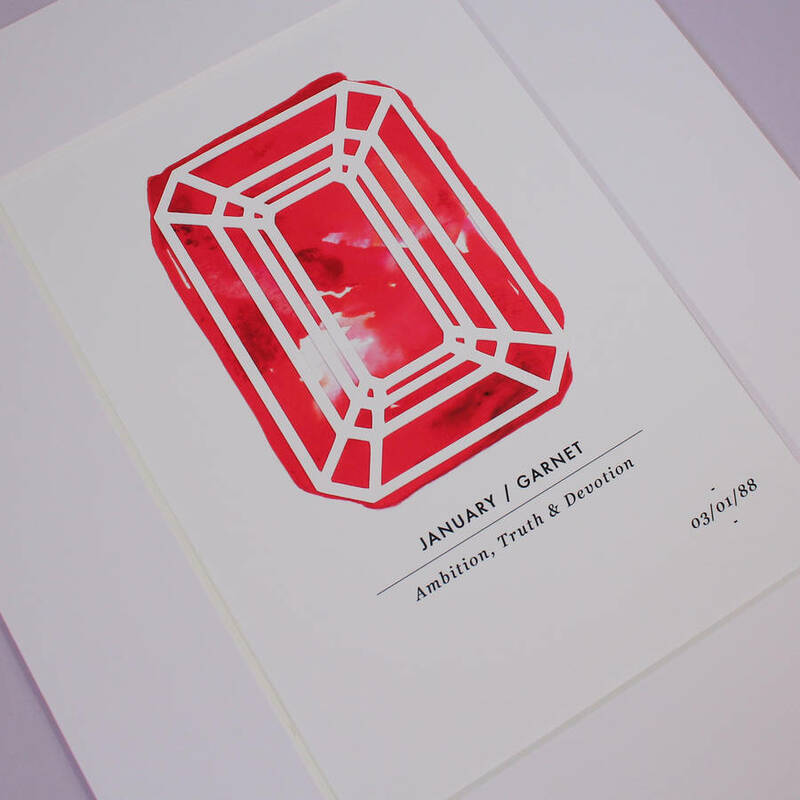 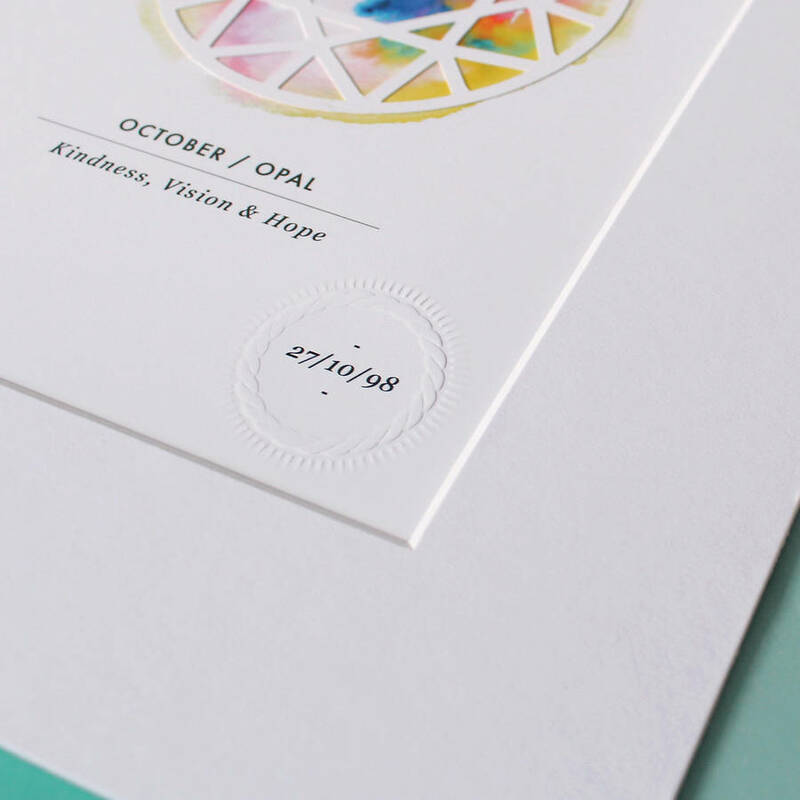 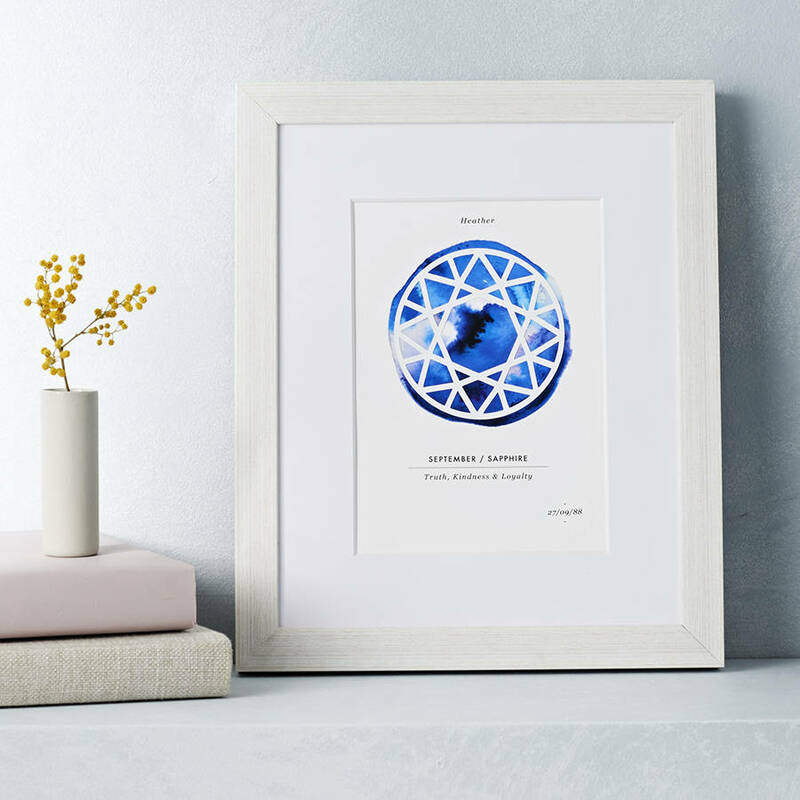 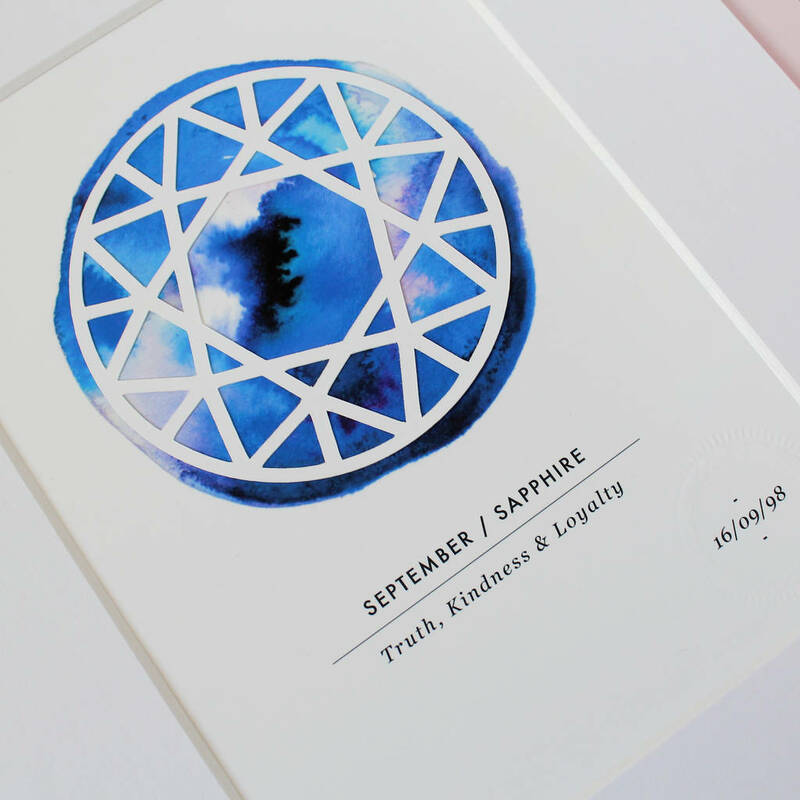 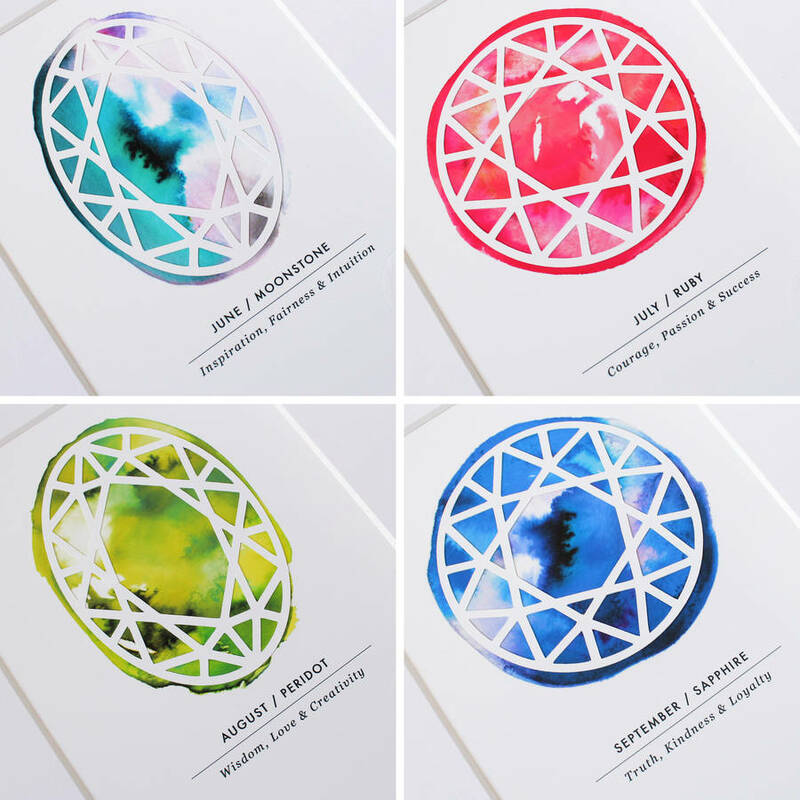 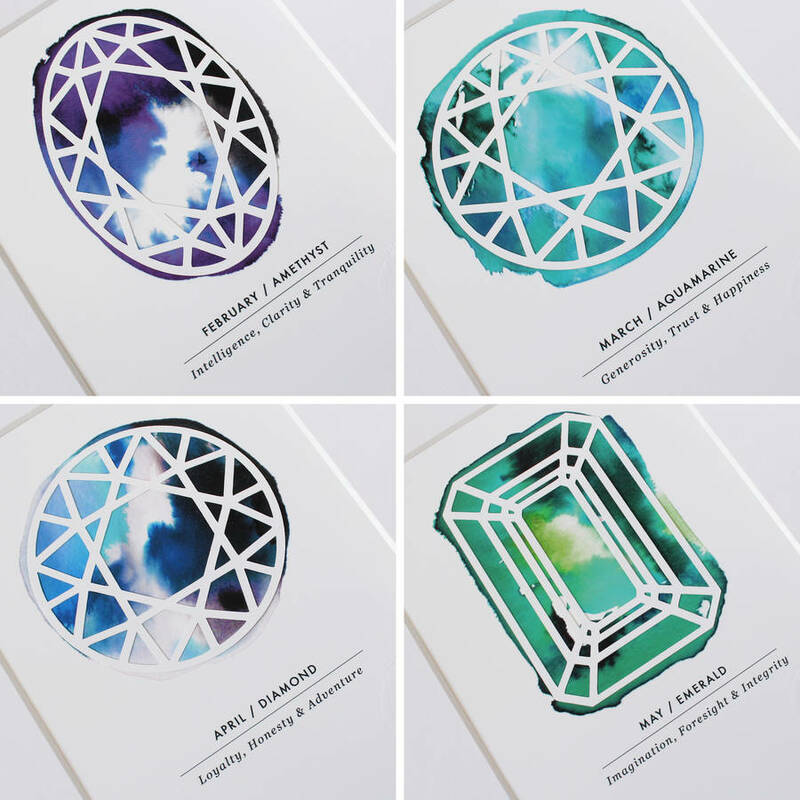 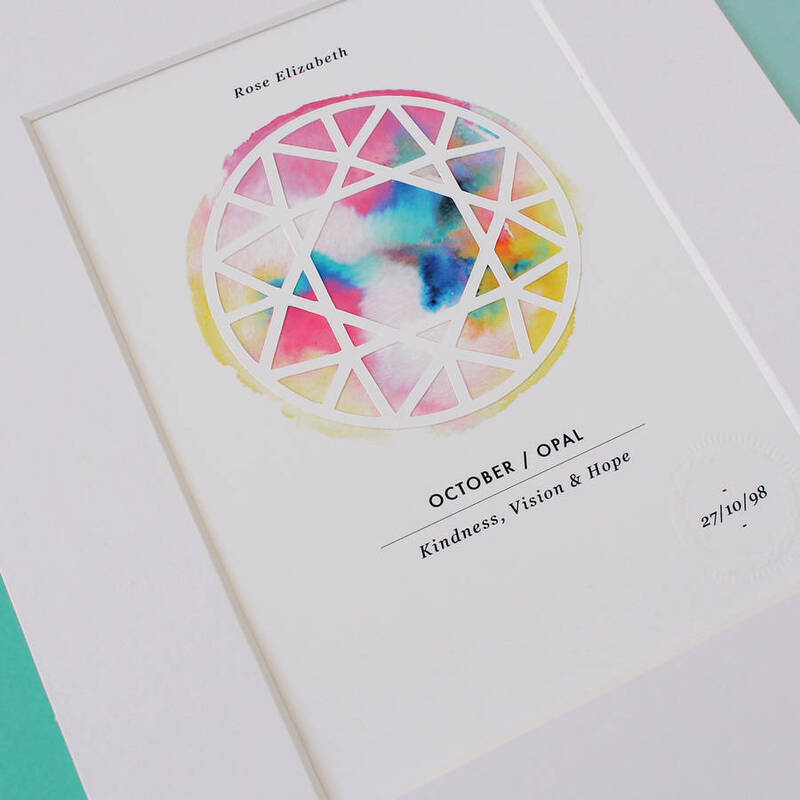 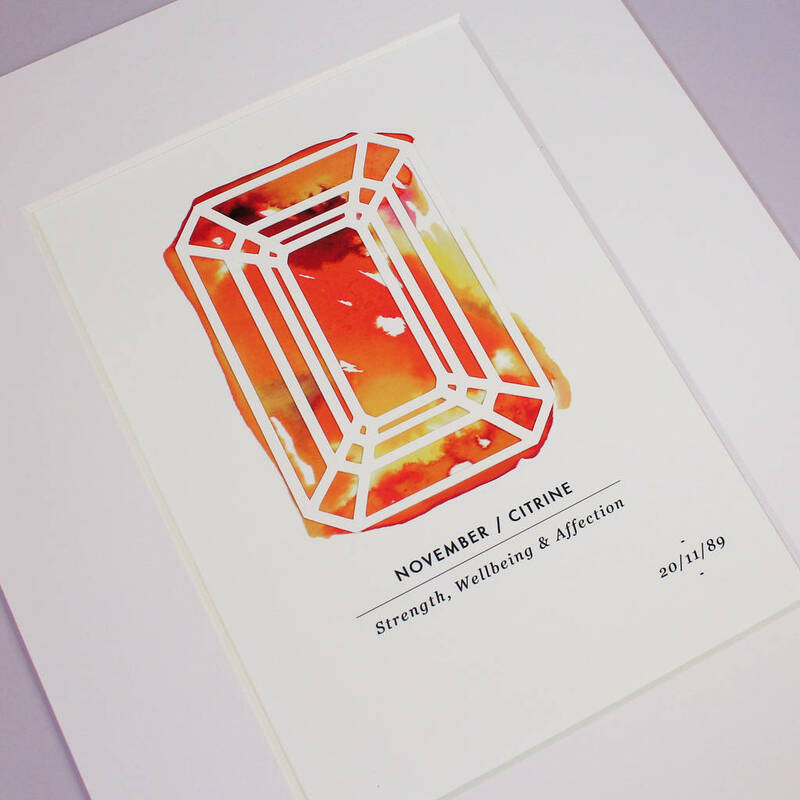 Each birthstone print features a hand embossed birth date. 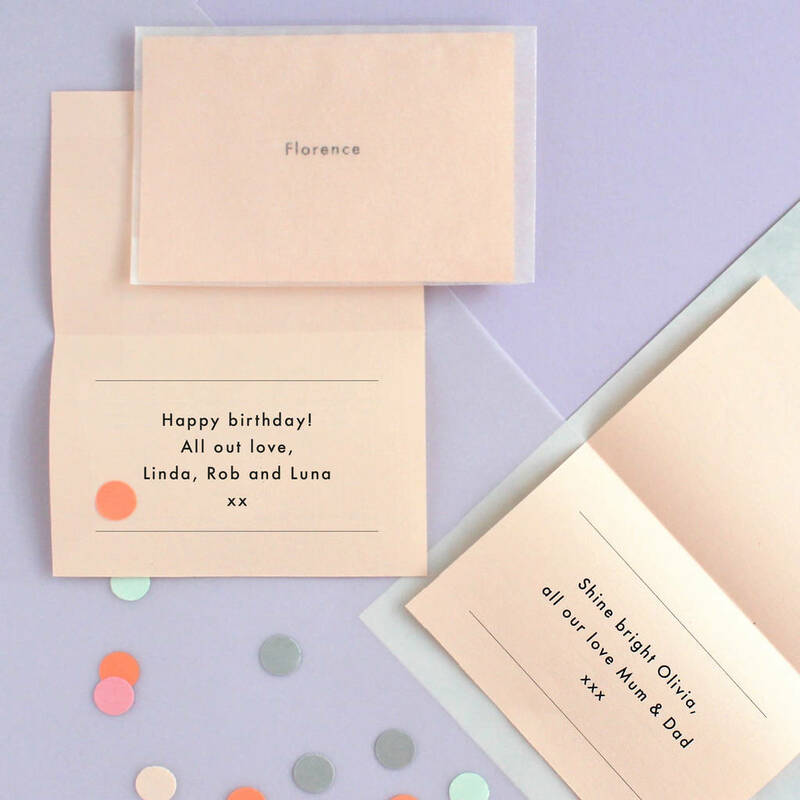 Add your preferred birthday to the option box provided. A message can be included. 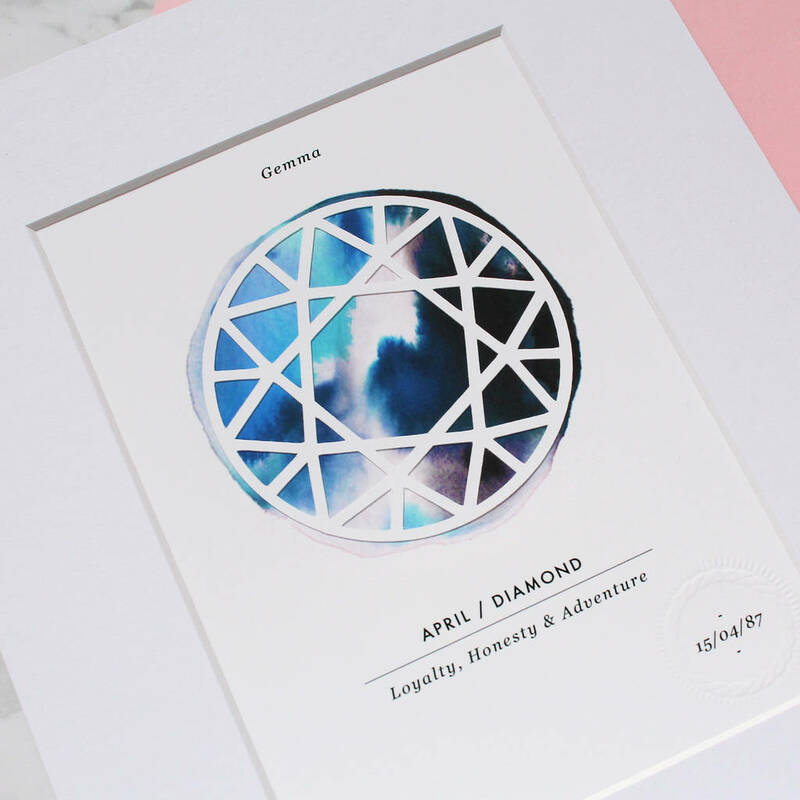 Please select gift card option and enter message into the boxes provided.